Think about all of the things you do in your free times, the stuff that makes you happy. We all have our own hobbies, some are similar, and some are different. No matter the case, figuring out the best way to enjoy your hobby could turn into a challenge. There’s video games, reading, art projects, or anything you could imagine. There are ways to go about looking into different ways to take your hobby life to a new level. New products are developed for everyone to experience every year. Plus, with the way that technology is advancing there are going to be more than enough products to go around. We all know how much of an impact that tech has had on the world, and it’s going to continue to grow. So, we are going to have more than enough chances to try something different. To try a product that can change the way you do something for a better experience. With the holidays coming up, now would be a great time to take something into consideration. If there’s one thing I know for sure, music will continue to be a massive part of our world. There are so many genres to from hip-hop to country. Everyone listens to what they love the most, and sometimes you just want to let the sound flow free. Which is why the one and only NstaJam “Nspire” Wireless Speaker. Having a wireless speaker opens up a whole new world of musical experience. The NstaJam “Nspire” Wireless Speaker is a superior speaker featuring durable hardware and crystal-clear sound quality! Sure it may just look like your average speaker, but I can assure you that’s not the case. Everyone from kids to adults love and have a strong passion for the music they love. So be sure to check out all of the information I have for you above. Let’s surprise someone special with this musical holiday gift. We live these lil cuties! Powerful, clear and crisp sound! One in the shower and one for on the go!! Nstjams speaker size alone makes the perfect mobile music player. It is great for the shower, playing or even working outdoors, hiking, biking , visiting the park or the beach! Now you can even dance in the rain! The Little Box With The Big BOOM!!!! Are Gonna LOVE This Stocking Suffer.. 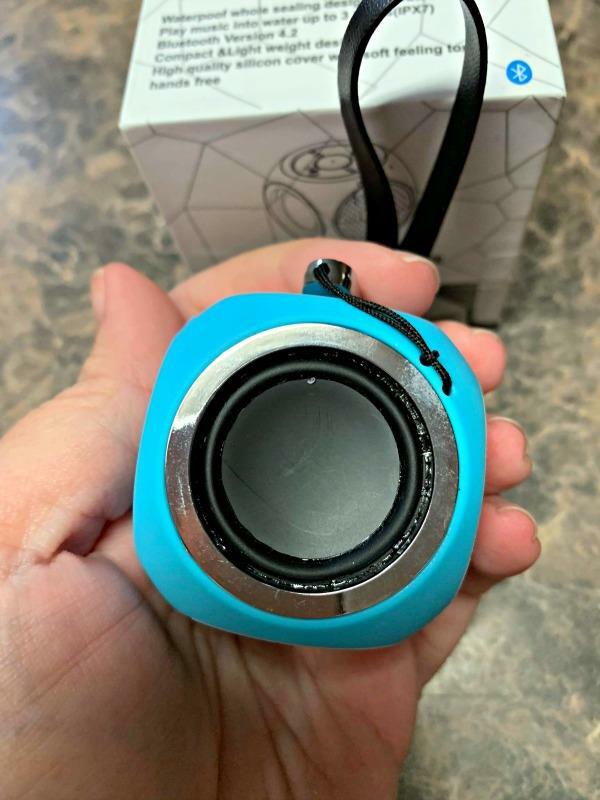 This is one amazing little speaker and for the price… Wow!! Thanks for the review! I am expecting mine any day and it’s nice to see that it is all I expect it to be! This speaker is amazing. I love it. Great concept. I love the Nstjam speakers! Portable and water proof ! What a great new little speaker! Fun colors that really stand out! And the size makes it really portable. It’s said that Big Things come in Small Packages. That’s certainly the case with NstaJam’s Nspire! These speakers have an amazing sound!! I purchased one recently and took to a family gathering…It was a hit with the kids and the adults!!! I’ll be buying more! 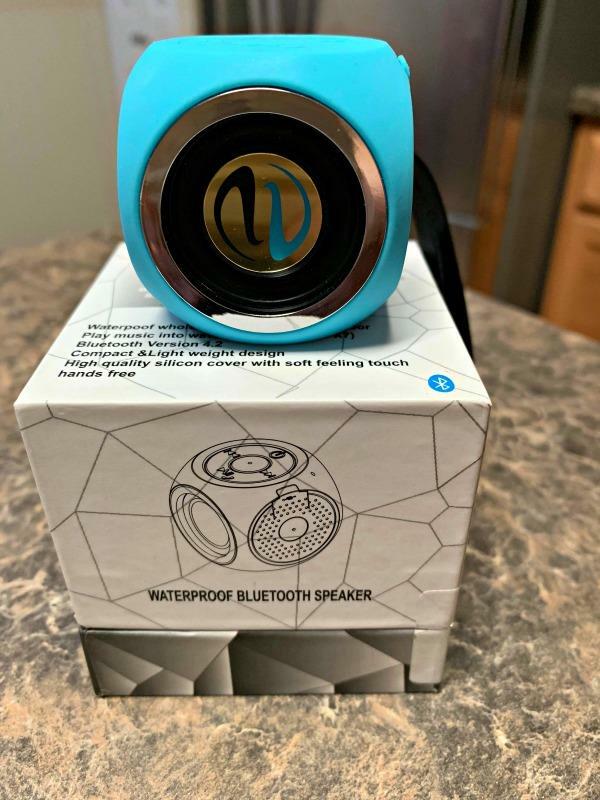 All I can say is this little speaker packs a powerful sound and has the added benefit of being waterproof. You know the best things come in small packages.